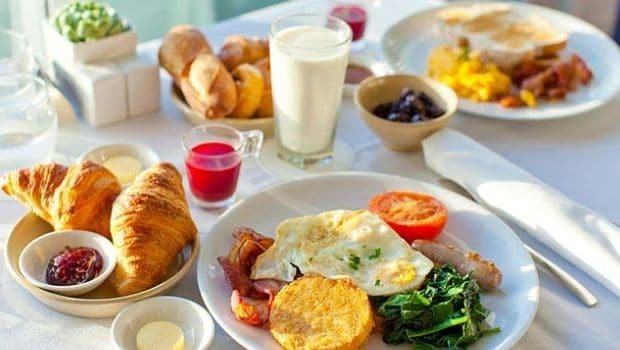 There is a popular saying that goes, “Eat your breakfast like a king, and lunch like a prince, and dinner like a pauper.” Breakfast is indeed one of the most important meals of the day. Breakfast literally means breaking the fast. Since you don’t consume anything after dinner till you wake up the next morning, your body needs to fuel to kickstart. Breakfast provides that essential fuel for energy. And, that is not all, breakfast is essential to boost up metabolism. If you start your day hungry, you get tired fast, also when you skip your breakfast, you are most likely to feel hungry earlier and grab hold of anything fattening. This is why no matter how pressed for time you are, you must make room for having a filling and nutritious breakfast. However, when you are suffering from conditions like hypertension and diabetes, the options tend to narrow due to dietary restrictions. You cannot eat and enjoy a variety of sugary or salt laden foods that most of your peers can enjoy right at the start of the day. But, there are plenty of reasons to look forward to breakfast still, if you are willing to explore an experiment. People with high blood pressure need to ensure some basic dietary precautions and they are good to go. Healthy foods for high blood pressure may go a long way in managing the condition of hypertension. According to Macrobiotic Nutritionist and Health Practitioner, Shilpa Arora, “Loading up on foods rich in potassium and magnesium is very essential for those dealing with high blood pressure.” Potassium lowers blood pressure by counteracting the effects of sodium. It is also advised for them to include more whole grains and seasonal fruit and veggies in their meals. Calcium and magnesium are also essential in regulating your blood pressure levels. We are here to tell you about some foods for high blood pressure that you can use to whip up delicious and healthy recipes for breakfast. These dishes makes for a great healthy breakfast for high blood pressure. These light and fluffy idlis made with the goodness of oats makes for one delightful treat. Oats are full of fibre, which plays a crucial role in maintaining blood pressure levels. You can team them with coconut chutney. Coconut too is said to be a good addition to a high blood pressure diet. This dish is one of the best foods for high blood pressure that you can safely add in your hypertension diet. Breakfast and eggs go hand in hand. And, we are not complaining, especially when the options are so tempting. This omelette made with the goodness of spinach, onions, olives and oregano. Spinach is rich in vitamins A, C and K, and heart-healthy potassium, magnesium, iron and manganese. Spinach is one of the best heart healthy foods. The presence of lutein content helps prevents thickening of walls of arteries, thus reducing the risk of heart attacks. Made with whole wheat, the pancake also has delicious and healthy filling of cheese and mushrooms. Peas are rich in potassium, which again makes it a valuable addition to your high blood pressure diet. Made with lightly roasted semolina and green peas, the upma is tempered with mustard seeds and curry leaves. Bananas aren’t just low in sodium; they’re also rich in potassium, which helps lower blood pressure naturally. When blended in calcium rich porridge, it makes for the best start to the day. Include these foods in your diet and see the results for yourself. If you have any interesting recipes to share, do write us in the comments section.